Lone Tree, CO – October 10, 2013. 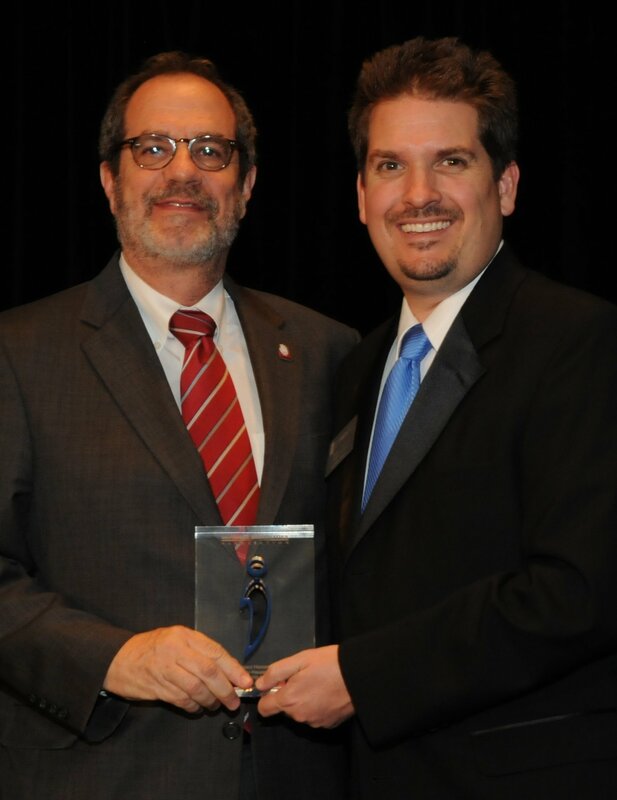 Will are thrilled to announce that Ed Greene, CBS4 Weather and News Anchor, will be the Master of Ceremonies for the 2013 Invisible Disabilities Association Honor Awards Banquet on October 24, 2013 at the Denver Marriott South in Lonetree. The evening will include nine IDA Award Recipients who are incredible individuals and businesses making a difference for people living with disabilities. Also enjoy exciting entertainment from Illusionists, David and Teesha Laflin, as well as a Silent and LIVE Auction and a delicious dinner and dessert with Honorary Chairs, Adrienne Ruston Fitzgibbons and Jack Fitzgibbons. Ed is the senior member of Denver’s working media and has been a Denver TV Newscaster for over 32 years. Ed says he loves his job and Colorado’s always-changing weather. In rain, shine, sleet or snow, you’ll find Ed Greene on CBS4 newscasts at 5, 6 and 10 p.m. He also does weather for Denver’s KYGO radio. 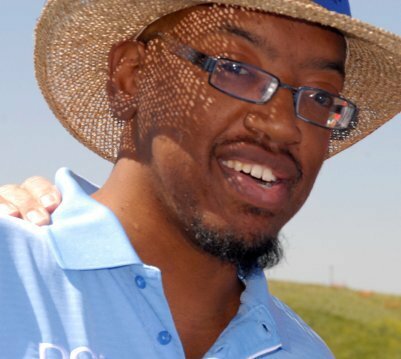 Ed is one of the most recognizable and involved TV personalities in the community. In fact, he donates his time to emcee 60 to 70 events a year for local non-profit organizations and is a prominent figure at many local functions. Be a sponsor or purchase individual seats. Everyone is welcome! Don’t forget to invite your co-workers and friends! The Invisible Disabilities Association (IDA) is a non-profit organization that has been encouraging, educating and connecting people and organizations touched by illness, injury and disabilities around the world since 1996. IDA provides awareness, articles, pamphlets, booklets, radio interviews, videos, seminars, events, resources, an online social network and much more. Denver, CO – October 10, 2013. It’s Not An Illusion! Debilitating illness and pain is real, even though we can’t always “see” it. Illusionists, David and Teesha Laflin will be making things “appear” in honor of millions of people living with various conditions becoming “Invisible No More” at the 2013 It’s Not An Illusion Awards Banquet on October 24, 2013 at the Denver Marriott South in Lone Tree. The evening will highlight nine IDA Award Recipients who are incredible individuals and businesses making a difference for people living with disabilities. Also enjoy a Silent and LIVE Auction and a delicious dinner and dessert with Honorary Chairs, Adrienne Ruston Fitzgibbons and Jack Fitzgibbons and Emcee, Ed Greene, CBS4 Weather and News Anchor. Join us and invite your friends, doctors and neighbors for a thrilling evening for a great cause! Denver, CO – October 10, 2013. The Invisible Disabilities Association (IDA) has been recognizing individuals and organizations making a difference in the lives of those living with illness, pain and disability since 2008. 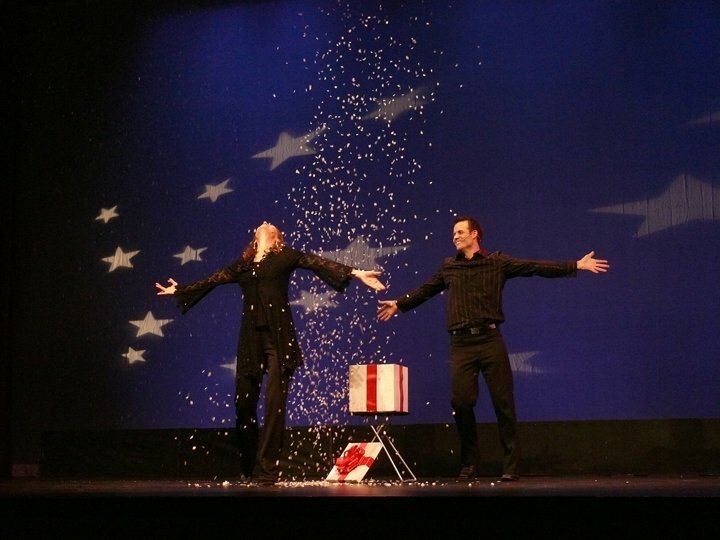 Also experience exciting entertainment from Illusionists, David and Teesha Laflin. Meet our Emcee, Ed Greene, CBS4 Weather and News Anchor, as well as Honorary Chairs, Adrienne Ruston Fitzgibbons and Jack Fitzgibbons. Enjoy a Silent and LIVE Auction and a delicious dinner and dessert. 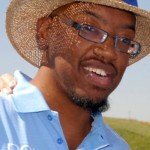 The Invisible Disabilities Association (IDA) is a non-profit organization that has been encouraging, educating and connecting people and organizations touched by invisible disabilities around the world since 1996. IDA provides awareness, articles, pamphlets, booklets, radio interviews, videos, seminars, events, resources, an online social network and much more. Luis Carlos Montalván is a former captain in the U.S. Army. During his 17 years of military service, Montalván earned the Combat Action Badge, two Bronze Stars and the Purple Heart. He lives with post traumatic stress disorder (PTSD) and a traumatic brain injury (TBI). 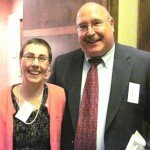 I recently met him at a banquet held by the Invisible Disabilities Association (IDA), which recognizes organizations and individuals who are raising awareness and advocating for compassion, greater understanding and civic involvement for and by people with disabilities. October is Disability Awareness month, and it’s a fitting time for the annual IDA Honors Banquet in Lone Tree, Colo., which Allsup sponsors. This organization’s activities are important to Allsup because so many people who qualify for Social Security disability benefits have invisible disabilities. This was my third year attending, and again I came away inspired by the honorees and guests. Capt. Montalván shared his story of the “war after the war,” dealing with the often debilitating conditions of his invisible disabilities. Like a true warrior, he was determined to overcome his personal battles. With the help of his “best friend”— a golden retriever service dog named Tuesday—Montalván found hope and healing, and now advocates for his fellow veterans and the disability community. 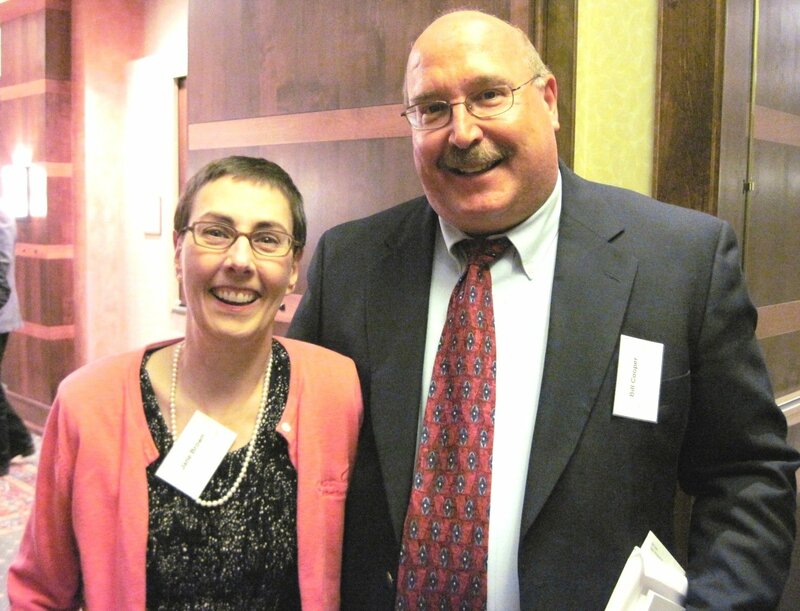 During the same event, the first thing I noticed about Margaret Ferrante, MD, was her beaming smile and effervescence. I never would have guessed that she lives each day with multiple chronic illnesses and injuries, including TBI, resulting from an automobile crash. Disability Awareness Month is a good time to remember and remind others that disabilities never, ever limit people’s purpose. Read more personal stories from those with a variety of disabilities in Allsup’s online real stories section. Allsup is a nationwide provider of Social Security disability, Medicare and Medicare Secondary Payer compliance services for individuals, employers and insurance carriers. Founded in 1984, Allsup employs nearly 800 professionals who deliver specialized services supporting people with disabilities and seniors so they may lead lives that are as financially secure and as healthy as possible. The company is based in Belleville, Ill., near St. Louis. For more information and a FREE consultation visit Allsup.com. Allsup, Inc. All Things Disability – Allsup’s Blog. Living With Unlimited Purpose. Author, Tai of Allsup. October 14, 2011. Jane Brown graduated with a Master of Laws in Taxation and worked from 1983 until mid-2007, when she had to leave her career because of Multiple Sclerosis. The change was quite hard for Jane, so she reached out for support from the Invisible Disabilities Association (IDA). Through IDA’s online social network, Jane found new friends who understood her losses and struggles. She quickly volunteered to be a chat host and a member of the welcoming team. Jane has become a friendly voice and face to others who join the network. Little did Jane know, she was not alone! In fact, the group has already grown to over 150 members that meet throughout Denver Metro, with several people who host meetings in their area. They have everything from weekly coffees and regular dinners to an annual picnic. Now, when a person reads about such a group as this, they may picture in their minds, a somber group of people complaining about their aches and pains. True, they may share their challenges and frustrations; after all, this is a great time for people to discuss their lives with people who genuinely understand what they are going through. Nonetheless, just like Jane, this group is welcoming, loving and fun! 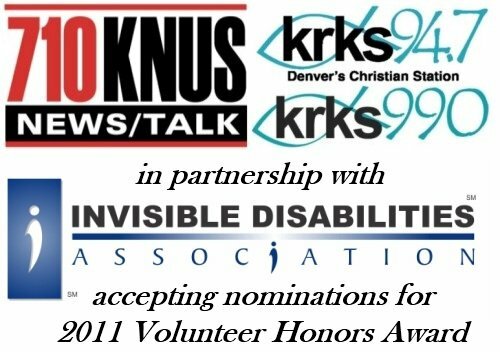 This year, KRKS and KNUS Radio partnered with IDA to request nominations of people in the Denver area for the 2011 Volunteer Award. … Well, you guessed it! Jane Brown was nominated, then chosen from the nominees to receive this award at the 2011 Honor Awards Banquet on October 2nd. Special Guest Speaker will be New York Bestselling Author, Luis Carlos Montalvan, along with his Service Dog, Tuesday. The Master of Ceremonies will be DJ Rick Crandall of the hit show, the Breakfast Club on KEZW Radio. There will be other amazing award recipients who are making a difference in their communities, who will be honored that night as well. UPDATE: denverpost.com did a story on Jane and her Meetup group on 12/19/2011, Disabled people find friends through Meetup group. Video below. From July 16 – 31, IDA partnered with 710 KNUS and 94.7 KRKS Radio Stations to find the next IDA Volunteer Award recipient! IDA visitors and radio listeners were invited to nominate a friend, co-worker, neighbor or family member who is giving of themselves as a volunteer by supporting people touched by illness, pain and disability. Thank you everyone for submitting your nominations! Invisible Disabilities Association presented 10 Honor Awards to Incredible Individuals and Businesses Making a Difference in Their Communities. The banquet was held on 10-10-10 at the Denver Marriott South. 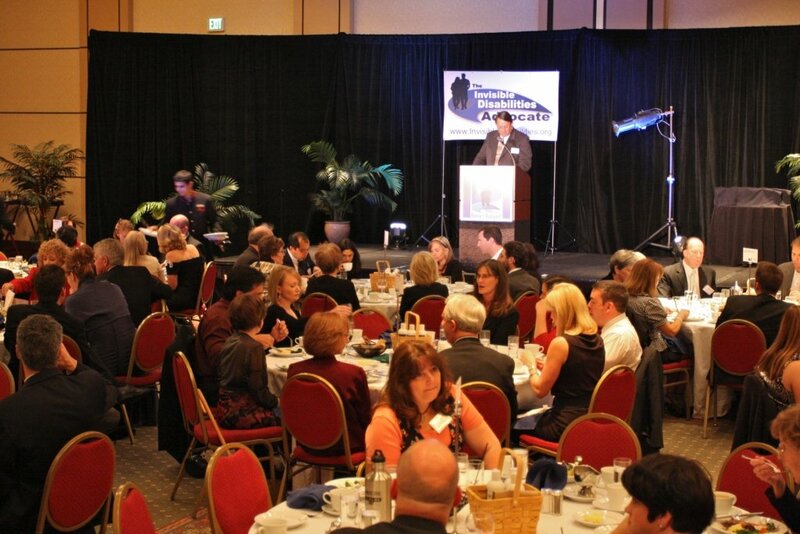 150 attendees enjoyed a delicious dinner, amazing speaker, talented emcee and wonderful award winners. The audience was brought to tears and a standing ovation for speaker, Ed Hearn and award winner, Jason Graham. All in all, it was a night to remember! Check Out All of Our Incredible 2010 Award Recipients! Photos Available Now (password IDA_101010). 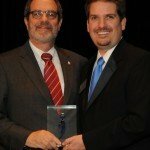 The Invisible Disabilities Association (IDA) will present Jason Graham with the Inspiration Award on 10-10-10 at The Denver Marriott South. Jason was chosen because of the volunteer work he has done through the Daniel Graham Foundation (DGF), as well as his perseverance through his own personal health struggles. DGF is a foundation that supports families by influencing youth and focusing on health, education and community service. Jason had brain surgery for a pituitary tumor in 2003, a kidney transplant in 2006 and is now in need of another transplant. Jason loves his family and has a passion make a difference in the lives of others. Although Jason lives with severe fatigue and pain, he always has a nice smile for those around him. Jason’s brother, Daniel Graham, who is a Denver Bronco was among many who volunteered to donate a kidney to Jason. “I knew he would do it, because I knew all my siblings would,” Jason said. “So that really wasn’t much of a surprise. Deep down, I knew if it came down to Daniel donating, and it was an issue of saving his career or not saving it, I would have had him as the very last resort because I wouldn’t want to see him give up his career” Jason explained. The Denver Post 2007. Great to be a Graham. In 2006, his sweet mother Marilyn was Jason’s donor. UPDATE: At the 2010 IDA Awards Banquet, Jason received a standing ovation and cheers when in his speech he thanked his mother, family, wife and son then gave his Inspiration Award to his bride. There wasn’t a dry eye in the place. Join Us on 10-10-10 in Denver! KEYNOTE SPEAKER: Former Mets Champion, Ed Hearn. Hearn is a member of the 1986 New York Mets World Championship Team now lives with Invisible Disabilities. Hearn’s very promising baseball career came to a sudden halt with a shoulder injury. Less than 6 months later, he was diagnosed with three potentially life threatening health conditions, followed by three kidney transplants! Ed understands what it is like to be at the top, only to lose it all due to health. Hearn will be sharing his personal, inspirational story of the thrill of success and perseverance through the tough times, as well as his passion for others who live with serious health challenges and how to be an encouragement to them. MASTER OF CEREMONIES: Sports Reporter, Mark MacIntosh. Athletic and Television Personality, Author and Speaker. 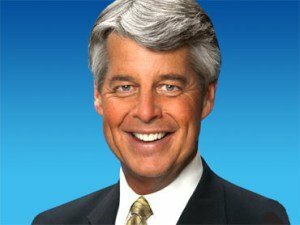 Mark is a well-known personality in the Colorado and extending states television region. Mark has a warm smile, compassionate heart and his personal life challenges have earned him the title of the “Comeback Coach.” Mark McIntosh’s Website www.SeekVictory.com. Go to Our 2010 HONOR AWARDS BANQUET PAGE FOR MORE INFORMATION.